Legacy Septic & Excavation is proud to offer two annual College Scholarships, one to a Winters Mill High School and one to a Westminster High School student who is a graduating senior and who has shown an interest in Environmental Science. Our Winters Mill scholarship is in memory of Jake Offutt who passed away from brain cancer following his freshman year of high school. The WMHS Class of 2018 is Jake’s graduating class and we remember him through this scholarship as well as through the organization that his loved ones have created in his honor, www.jakeoffuttfoundation.com/. Our Westminster High School scholarship is in memory of Megan Estey who passed away from brain cancer in February 2010. Megan is also remembered through “Hope for Megan” www.carrollcommunityfoundation.org. Scholarship details and application procedures are available in through the Community Foundation of Carroll County website, or you can download it right here from our website. The submission period typically runs between January 1st through March 31st, but can vary year to year. Applicants have been required to submit an application including a 200 word essay. Thanks and Good Luck! Congratulations to the Class of 2018 scholarship winners! 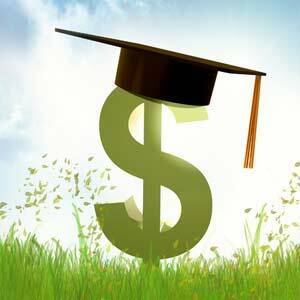 Legacy Septic & Excavation has awarded our first $250.00 college scholarships. In this our inaugural year, participating Westminster area high schools include Westminster High School and Winters Mill High School. 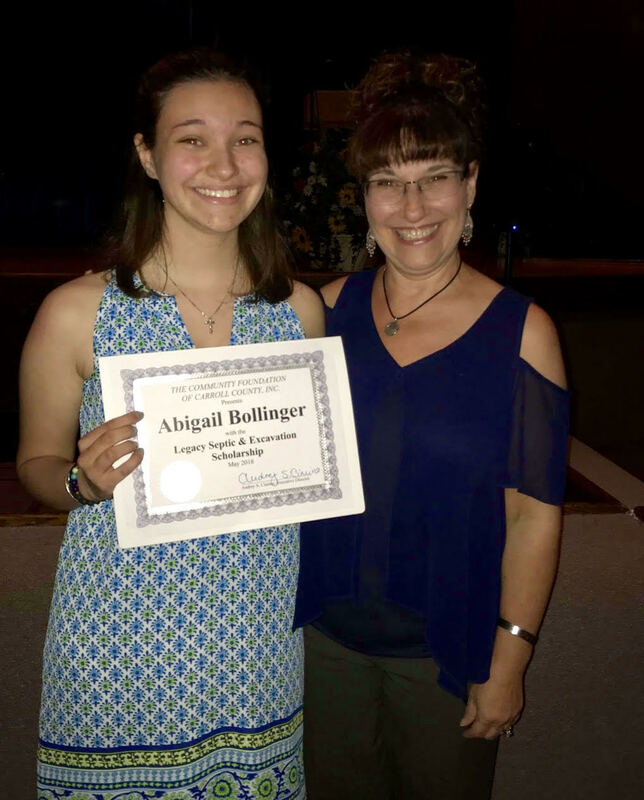 Westminster High School’s Scholarship was given in memory of Megan Estey, Class of 2011 and was presented by her mother, Joanne Eisenstadt. 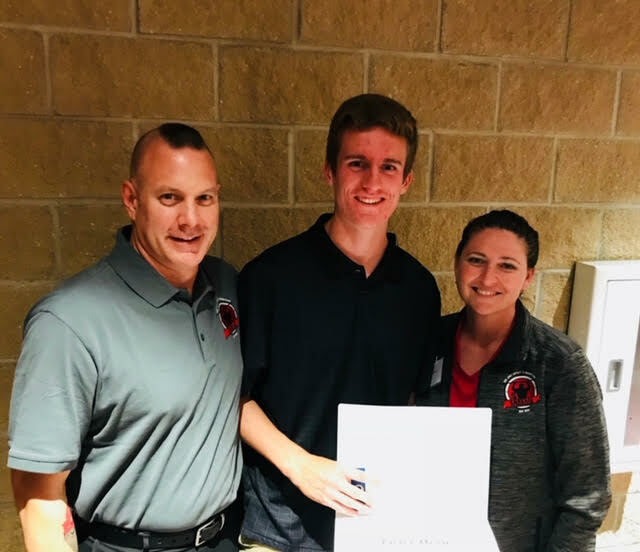 Winters Mill High School’s Scholarship was given in memory of Jake Offutt, Class of 2018 and was presented by Jake’s parents Joe & Leah Offutt. I use someone else, but I insisted I use you guys. Septic 101 - Learn more about your septic system by attending one of our Library Talks! Learn how to maintain your home’s most expensive appliance. Pre-Register using the form below and attend the seminar to receive 10% off your next routine septic pumping. Attend the class, without registering and receive 5% off your next routine septic pumping. Carroll County Public Library speaking schedule 2019. All sessions begin at 7:00pm. Proudly serving Carroll and Surrounding Counties for over 35 years!